There can be little doubt that Boyhood should be considered one of the greatest coming-of-age films ever made. Because it really does show characters growing up. The concept is simple enough, but has never really been seen on this kind of scale before. Putting together a cast, a filming parts of a movie over a dozen years, in order to show them actually growing up, while maintaining a firm storyline throughout. It was a bold choice by the great director Richard Linklater, and it truly has paid off, with the large number of Oscar and Golden Globe nominations and wins that Boyhood has already racked up. Consider the idea of selecting a young boy to focus a film on. What if as he grows up, he becomes a terrible actor, or no longer fits the role that you had initially envisioned? It was a huge risk, but Linklater did well in his choices of the cast, and they all worked out in the end. The gimmick of the aging actors put aside, Boyhood is still a very good film, although not a perfect one. There are parts of the film that seem drawn out, and are definitely less interesting than others. It is a long film, over two-and-a-half hours, and it felt like some parts could have been done more quickly, those middle moments that didn’t do as much to advance Mason as a character. But the whole time, we know we are getting somewhere. We don’t have to wonder about what happens to Mason, because we literally see him growing up on screen. From a curious little boy, to a precocious teenager, to a high school graduate who is becoming a man, we see him grow up, and come into his own. And Mason is a good character, and we enjoy watching to see who he becomes at the end. Mason, and his sister Samantha, grow up with divorced parents, played by Patricia Arquette and Ethan Hawke. They see their father every now and then, and go through the process of building a strong relationship with him as time passes. We even see how Mason slowly turns into Ethan Hawke, and by the end of the film, Mason is very much reminiscent of another famous Linklater/Hawke character, Jesse, from the Before Sunrise/Sunset/Midnight trilogy. As they age, the kids face all the trials and tribulations of life. Their mother meeting new men, some better than others, the prospect of moving around Texas more than they would like, leading them to new schools and new friends. Mason has to deal with bullies, and girls, and wanting to be an artist in a world that doesn’t really seem to want more artists. He has girlfriend troubles, and needs to decide on where to go to college. You know…real life. And that is exactly what Boyhood excels at: creating a scrapbook of real life, in an honest and realistic way that manages to entertain us the whole way through. 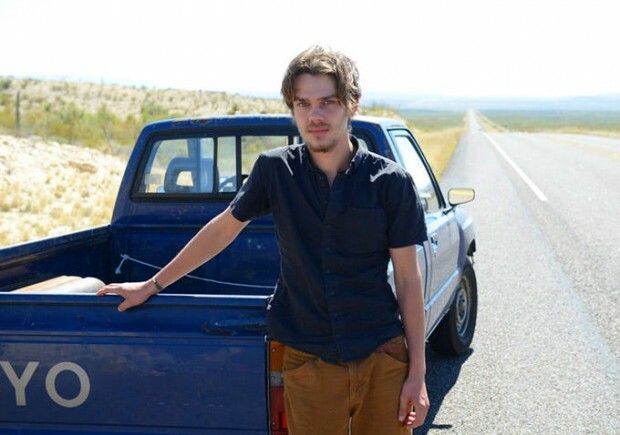 Boyhood is definitely a Linklater film. There are some elements of Dazed and Confused in there (including a great cameo by the liquor store clerk from that film), along with some Waking Life. And there is definitely more than a little but of the Before trilogy in there, and it is not just the comparisons to Ethan Hawke’s character in both of the films. Linklater loves his characters who talk about life, and wonder about it. He just does it so magnificently, that it is tough to fault him for going back to the well a little bit and rehashing some of the magic that has worked so perfectly for him before. There is so much to like about Boyhood, which won the Best Picture at the Golden Globes, and is considered by many to be a definite threat in the Best Picture category at the Oscars. It has even become one of the very rare (there are only 11) films to receive a perfect 100 Metacritic score. There will be people who complain that the film is too long, and that there is no real point to the whole thing. Those can be justifiable arguments, but really, the point is just growing up. It’s something we all have to do, and Linklater captures it perfectly, what it is to grow up as a boy. He provides us with insight and thoughts that so perfectly align with things that his audience would have considered at one point or another in their lives, and it just makes everything so real. Despite being imperfect, Boyhood is an excellent film, and worthy of all the praise it has received. A must-see.